"Proudly Serving Orange County and Surrounding Areas"
We offer a full range of drywall repair and installation services as well as Ceiling Repairs and services to Huntington Beach, Mission Viejo, Buena Park, Lake Forest, and Laguna Niguel, CA! 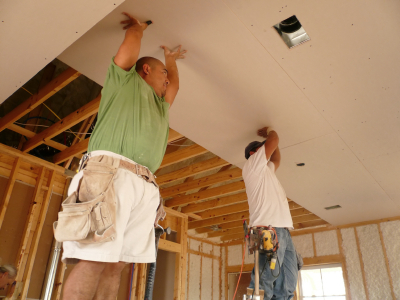 Dana Tichenor has over 25 years experience in the field of drywall in Lake Forest, CA. Through hard work, dedication and strong desire to provide excellent service to his customers prompted him to establish Above It All Drywall Services of Mission Viejo, CA in 2008. Dana has developed a reputation in the industry for professional, prompt and reliable work. It is his continuing goal to stand out above his competitors and perform quality work and excel in customer service.